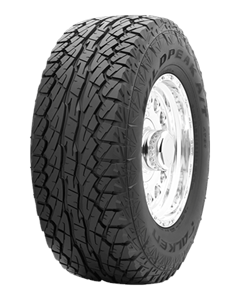 Wildpeak A/T AT 01 Falken's high-performance all-terrain tyres for SUVs and pickups are rugged tyres designed for maximum traction. Their symmetrical tread and open tread design at the shoulder effectively disperse water and mud in on- and offroad travel. Our VAT registration number is 318625062.